Why Marx cats? Why not? I recently found the Marx lying down cat and was curious about it (like a cat?). 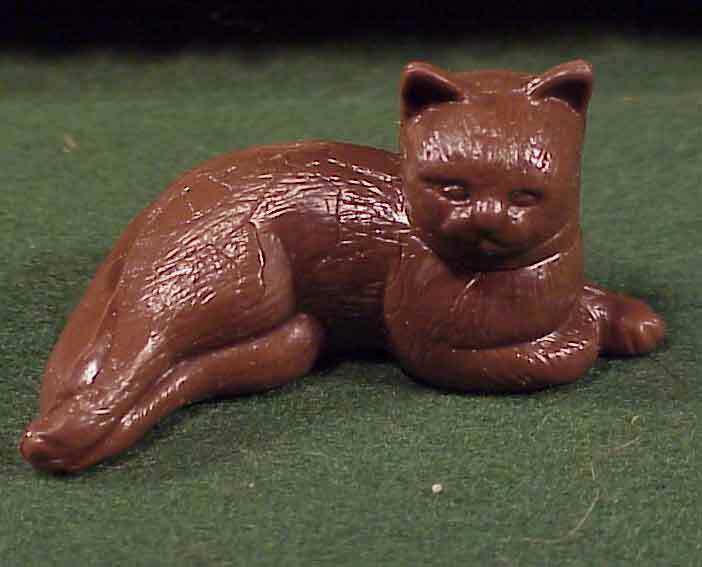 I found that the Marx cats are really hard to find. They were made for the Marx doll houses, and the reclining cat was in the really rare Marx Townhouse doll house. I think this is the one that also came with the fox hunt figures and horses. I consulted several Marx experts and some had never seen this cat! 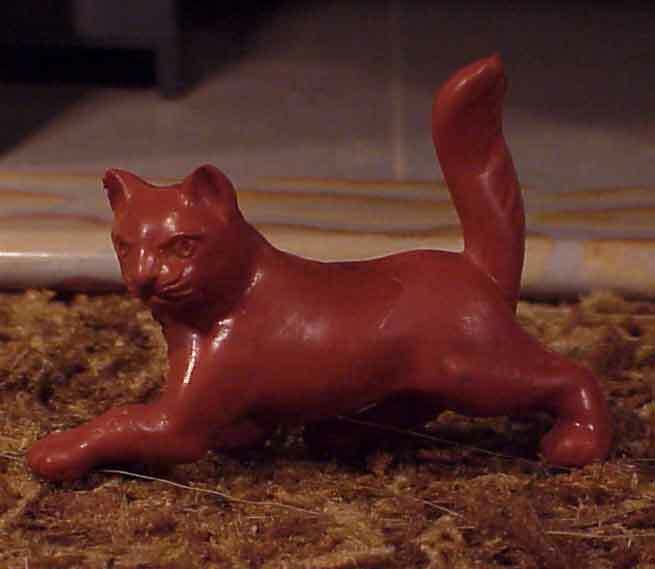 The cat with the straight tail was also in the mold of the reclining cat, but it is a mystery where the curved tail cat came from. 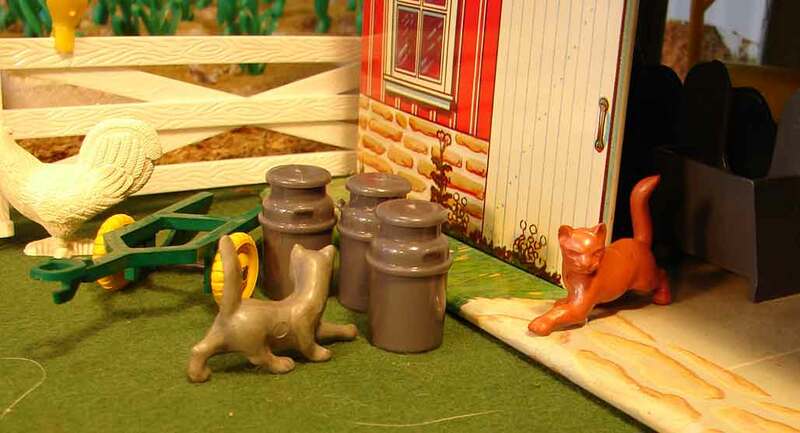 Whatever, these cats look pretty good with the Marx farm toys. Every farm needs a good mouser!